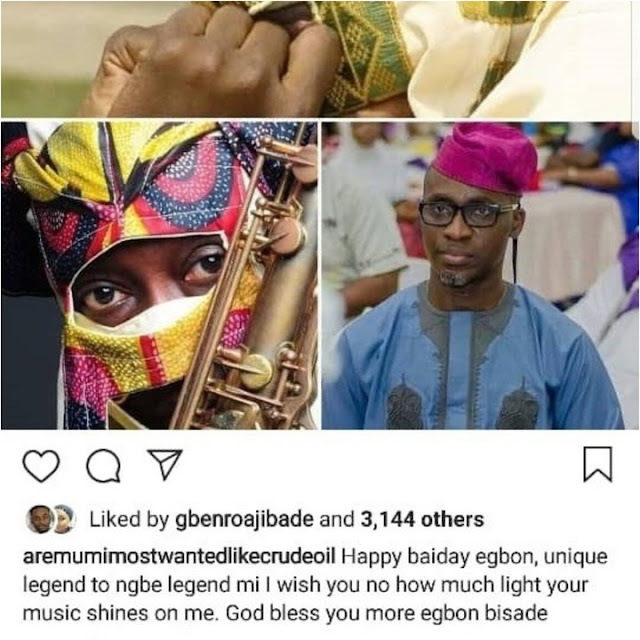 Lagbaja's real face has been unveiled by Nollywood actor, Aremu Afolayan who took to Instagram to wish him a happy birthday. Lagbaja is known to cover his face with a traditional mask while on stage and even in his music videos, which according to him is a symbol for the faceless and the voiceless. 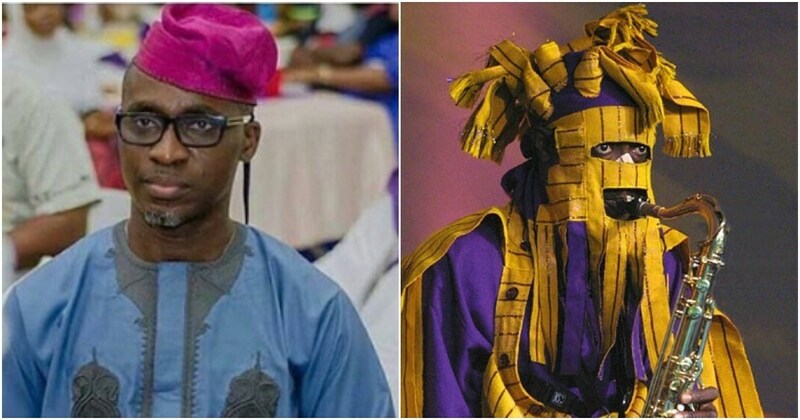 The singer whose music is influenced by traditional Yoruba music and Jazz, seems to have had his days of secrecy blown over by the Nollywood actor.